Have you heard of a Autobrite Snow Foam Lance before? The lance attaches directly to your pressure washer gun/handle. Used as a Pre-Wash Tool, it mixes Snow Foam Detergent with the pressurised water flow to create a very thick foam which clings to the vehicle. This softens and lifts the dirt and grit from the vehicles surface, the foam can then be easily removed with a rinse from the pressure washer. This process eliminates the majority of the harmful dirt and grit that can cause swirls on the paintwork during cleaning, making the process much safer. 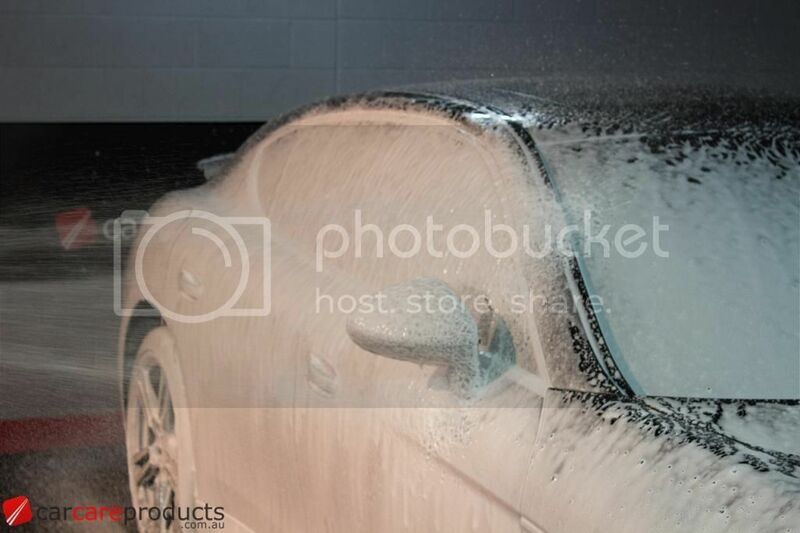 Regular car wash shampoos can be used through the Foam Lance also or some All-Purpose-Cleaners can be mixed for a strong pre-wash to remove intense dirt build up and old waxes before a full detail. The Snow Foam Lance offers a quality design with a solid brass body, it features a fully adjustable dilution valve to offer different density of foam and variable spray nozzle for controlling the pattern of foam delivered. The lance comes complete with a choice of connectors, currently available to fit: Karcher, Nilfisk/Gerni, Karcher HDS/Pro and M22 Short & Long Fittings. For systems not listed, we recommend that it is best to compare your fitments to what is pictured online to see if any match. I have something a bit like this, but it just fits on a standard hose pipe. It makes a bit of foam, but nowhere near as fine or aerated as this seems to get. Probably due to the lack of pressure from the tap. So that would fit to the gun looking handle of my Karcher high pressure cleaner if I understand correctly. You can't compare these lances to that, its chalk and cheese theres no other way to say it! Massive difference using a high pressure washer. Yeah I would love to have a pressure washer for cleaning, maybe after I move out of this house, our single garage hardly has room to walk into it these days. I know and I did but I cant see it connecting to the handle of my karcher. I do have the cheapest Karcher so it might not even fit that model. You're denying your car a proper clean, how could you! It'll fit all Karchers, baby or big boys!